Not too long ago I had my first bone density test. I wasn’t worried. I take vitamins and exercise, so I thought nothing of it. When my gynecologist’s office called and wanted to schedule a consultation after the test, I was annoyed. Why did I have go to her office? Why couldn’t she just give me the results over the phone? The reason she wanted me to come in was to tell me that my bone density test was showing early signs of osteopenia, a precursor of full blown osteoporosis. I was shocked! How could this happen to me? I’m too young, I thought. “It’s a normal part of the aging process,” my doctor said matter-of-factly while scribbling something on a prescription pad. Huh? What’s she talking about, I heard myself thinking….aging process? Me? My doctor told me not to worry about it too much. She said I should step up my resistance exercise, take a calcium pill everyday, and take the bone building medicine she was about to prescribe. I left the office feeling very deflated. Is this how age sneaks up you, I thought? One day you feel young and there’s a bounce in your step, and then the next thing you know your bones are Swiss cheese, and then you’re waiting for a hip replacement? Hearing I was “old,” when in fact I’d just barely passed my mid-forties had stunned me. Then, to be told to just accept it, completely undermined my confidence and made me feel weak and vulnerable. I guess she knows what she’s talking about, I thought as I pulled into the drug store parking lot feeling quite defeated. I walked in, prescription in hand, and headed to the back of the store to drop it off with the pharmacist. As I approached the counter, I heard, “STOP!” I froze and looked around to see who had said this. As far as I could tell there was no one calling me from within the store. I was about a foot from the counter and the pharmacy assistant watched me impatiently as I just stood there. “Can I help you,” she said trying to coax me into taking the extra step to the counter. “I uh, uh – no,” I said, and spun around and walked out of the drugstore. In that split second when I’d heard, “STOP,” and looked around I’d realized it was my intuition telling me – not to fill the prescription. I left the store, and when I got home not only did I read any and all information pertaining to bone loss drugs but, I also began a huge Internet search for the things that could cause bone loss in women. After about a week of research I felt that I knew what had been happening to my body. A week later the doctor’s nurse called with the results of the tests I’d insisted upon. It turns out I was dangerously deficient in Vitamin D, which after researching the symptoms I’d been sure was part of my problem. I was given a prescription of 50,000 units of Vitamin D to be taken weekly for three months. I also had raised levels of a certain marker indicating I had a gluten intolerance, just as I’d suspected. Luckily, I didn’t have a full blown case of Celiac disease, which is a gluten intolerance so severe that it can be fatal. What had been happening to me was that in the course of eating what I thought was a very healthy diet packed with whole grains, my intestines had become so inflamed from the gluten that they weren’t able to absorb the nutrition in the food I’d been eating. I became Vitamin D deficient. Without Vitamin D your body doesn’t absorb calcium well. With little to no calcium being absorbed into my bloodstream, my body began to draw on my bones to get the required amount needed to sustain me, and that caused my bone loss. It took over a year for my Vitamin D levels to rise enough to go off the prescription. During that time I stopped eating all gluten products and began taking a high dosage of calcium citrate, which is the most easily absorbed form of calcium, along with Vitamin K, which is needed to absorb calcium. I continue to take a high dosage of Vitamin D each day on my own to keep my levels high. When I went back for another bone density test earlier this year – the bone loss had stopped. I was elated! It hadn’t gotten better, but it hadn’t gotten worse either. All this because I’d listened to my intuition. Intuition can take many forms, and comes to each of us differently at different times. In this case, I literally heard it. By the way, after reading about the horrible side effects of those bone loss drugs I’m so glad I didn’t fill that prescription. Even if the chances were slim that I just might get necrosis of the jawbone, or thighbones that snap like twigs when I walked, I wasn’t too inclined to take that chance. 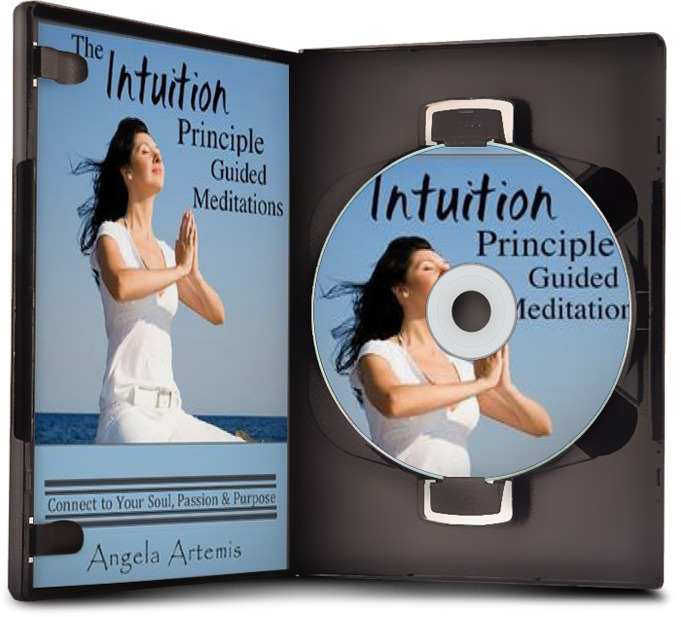 So, listen to your intuitive voice – it could save your health. In my case it saved my bones, and maybe even my jaw and my thigh bones too. If you enjoyed this article please share it Facebook and Twitter. Thank you! Hey! There's a Face in That Orb! Angela, I LOVE how you shared how clear was your inner voice so everyone can know theirs is available to them, too, and just that clearly. Mine told me, “bad for you forever” as I was loading bread into the toaster. Turns out I’ve an extreme intolerance for gluten, like you, and this was the cause of all my digestive woes over the years. My first bone density test was last week, and I’m hoping the “overdose” of calcium citrate for a year or so will show my bones in fine health. What I loved even MORE though is how you demonstrated that WE are responsible for our own health—not the medical profession. They are here to help us, but we must be proactive in educating ourselves, first. If we look at our relationships with our doctors as *partnerships* instead of leaning on them as human Rocks of Gibraltar we’d all benefit. Thanks so much. I’m so happy you enjoyed the article. I’m thrilled to hear that you “heard” your intuitive voice as well and found out about your gluten intolerance. Thank goodness. Let me know how your bone density test results turn out too~! Yes, you’re absolutely right – doctors do not know everything. We need to advocate for ourselves. A partnership is a good way to look at it. Hey Angela, wow great and inspiring story. Your intuition came through again and you took more vitamin D to help make your bone loss stop. I’m glad your okay! And on a side note, I enjoyed this post’s writing style. It was a serious topic, but you sort of made it fun and vibrant (e.g. “One day you feel young and there’s a bounce in your step, and the next thing you know your bones are like Swiss cheese…”). I thought that was a really great line. 🙂 Thanks for this post! I’m so glad you enjoyed this post and that you enjoyed the writing too. I really appreciate it coming from a fellow like yourself! And, thank you for caring about my bone loss too! It’s always a pleasure having you visit here and comment. What a story. I mean… what a story!!! This story has definitely caught my attention and sparked my thoughts… I’m completely opened my eyes and ears for the power of intuition…. Thank you so much! I’m glad I listened and insisted on the tests too! I’m so glad you’re open to the power or intuition. It really is our innate intelligence trying to get through to protect and guide us. Thanks so much for your comments Marko. 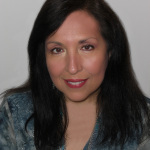 My full time job is in health care, yet I have the gift of clarity and beleive in holistic mind/body and energy healing. Many doctors excel in their field yet are limited by physical healing..many patients listen and readily heed the advice given because it is not yet the norm to think outside of just physical.. I am so glad that you were quiet enough to hear your intuition, that you were wise enough to listen to it..and allow it to guide you to healing. I love your site for that very reason..we all have intuition, we just need to allow our lives enough quiet, enough room to hear it..The Answer is always within, and is Always correct. Thank you so much. I’m so glad that as a health care worker you saw the value in this post. I’m very appreciative. I couldn’t agree with you more – the answer IS always within. I’m glad too that I heard my intuition! Hi Angela, Thank you sharing this experience. It’s a great example of listening to your intuition. Low Vitamin D is very common these days, partly from use of sun screen which interferes with the skin being exposed to the sun which allows it to make Vitamin D and partly from being indoors too much. One suggestion if you’re not doing this already: get a copy of the results of any tests or laboratory analyses and file it away at home. It’s not enough to have a doctor tell you what the results are. I always ask for the lab report, and if I don’t get it shortly, I call the doctor’s office back and ask again. I’d been reading about the epidemic in Vitamin D deficiency, and had been wearing sunscreen since my early 20s, so I kind of suspected this might have something to do w/my bone loss. The Celiac symptoms though were quite surprise when I dug into them. Here I was eating mountains of whole wheat products and it was slowly killing me! Apparently, the gluten sensitivity is quite prevalent also. Madeleine, do you subscribe to Mercola.com? Dr. Mercola has a great site w/lots of excellent health info on there. By the way, I do request copies of my lab reports. I’ve become my own health advocate. Thanks so much for commenting and adding to the conversation here. Amazing story! My mother had bone density problems fixed easily with a pill and she doesn’t take them anymore. She has Irritated Bowel Syndrome so I wonder if the same vitamin D issue. Very interesting! We all need to talk about about the things we grow through in our forties and fifties. Many of us might end up with the same problems. I’m glad you like the article. I’m glad your mom is doing well with her bone density. That’s good news! IBS can definitely deplete you of vitamins and minerals. Maybe she should have her Vitamin D levels checked? It’s really good to share this information. You never know when it can help someone! I am so glad you are not having a bone loss and most importantly you listened to your intuition. Many times, doctors and dentists pushes drugs when not necessary. I am glad you stood your ground. It is always nice to hear positive intuition stories. Thank you. Yes, I’m so glad too that the bone loss has stopped. 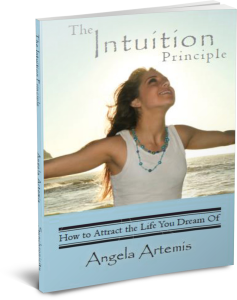 Our intuition is there to protect us – if we only listen to it! Thanks so much for commenting Preeti! I haven’t really taken a bone density test yet (I believe it will be coming up in the near future) but I was also vitamin D deficient. I’ve been taking vitamin D for a while and it’s at a good level now. Thanks for the information and the heads up. Loving blessings and much love! Welcome to my blog! I’m glad you’re taking Vitamin D. So many people are deficient these days, and have no idea. Good luck on your bone density test though – when you do have to take it. Thanks so much for commenting. I’m glad you enjoyed the article. What a fabulous story, Angela! I’m so glad you listened to that voice inside. I bet your doctor was super surprised by the results. I, too, have had to tell a doctor they were recommending the wrong course for me, and discovered only later that I was justified in doing so. Intuition can be our rudder in these uncertain times. We began to do research into Vitamin D ourselves last year, during our year of greening our food supply by trying to get all of it within a hundred mile radius — and were amazed to discover that cows raised outdoors, in contact with the earth, with organic pasture, eating grass as they evolved to do, and with sunlight striking their bodies, produce hundreds of times more vitamin D in their milk (and thus yogurt, cheese, butter, sour cream, etc.) & meat than cows raised as in conventional dairy operations nowadays, enclosed, hardly ever seeing the sun, eating soybeans and corn and byproducts, injected with RBGH and often suffering from mastitis & needing antibiotics, too. Just one more reason to promote small organic farms, and the kind and sane treatment of animals. I don’t doubt that cows raised the old fashioned way produce much healthier milk products. I’ve been buying organic butter from Ireland. I’d always read that it was much higher in nutrients. Definitely we should all be promoting small organic farms – and the kind sane treatment of animals for sure! Thanks so much for your comment Meredith. I also had the same report after my bone density test. I also chose not to take the drugs. Actually my doctor said only very few who take them have improvement anyway. You’re a runner – that’s excellent! Glad to hear that you didn’t take that medicine either. I have a friend who’s got her Ph.D in Nursing and she wouldn’t take it either. Thanks so much for commenting Tess! 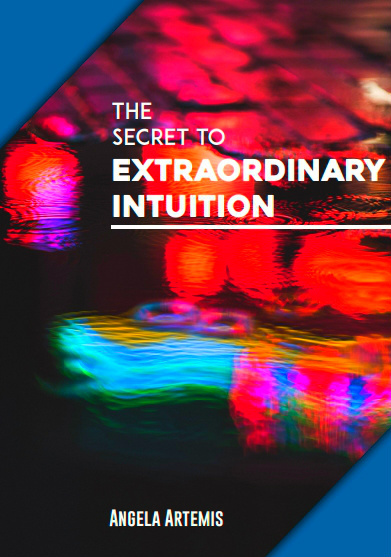 You have given every skeptic a reason for developing intuition. Although developing intuition can be a slow process with lots of uncertainty it is most definitely worth the commitment. One of my challenges with hearing intuition is when it’s not aligned with what is logical. Doctors aren’t always right and there is a prescription for everything – health can be incredibly confusing since ‘what’s healthy’ can be different for many individuals. You’re so right. What’s right for me – isn’t the same for everyone. Good point! One of the things I recommend it muscle testing. Have you ever done that? You can hold an item to your chest and then someone muscle tests you. If you test weak that item, whatever it is a food, a vitamin, or prescription isn’t right for you. I know what you’re saying about logic. It really comes down to trusting our intuition first, then applying logic. I’m writing a new post about this very topic now. It’s definitely a source of confusion for lots of us! Wow Angela, I’m glad you listened to your intuition and figured out how to solve your bone loss problem! I agree it’s so important with medical decisions. If I listened to my gynecologists I would still be wondering why my periods were so bad compared to other people. I knew I wasn’t a crazy, whining hypochondriac like they thought. I am very careful with drugs as well. I do a lot of research and then only take them short term as a last resort. According to my retired pharmacist dad, doctors know VERY little about the drugs they prescribe. I agree with your Dad! I rarely even take an aspirin, but my doctor knocked the wind out of my sales, only momentarily, thank goodness! Thank you for your well-wishes. I really appreciate them. Good for you! At the very least, we should never follow a doctor’s orders blindly and just take whatever drugs they say we should take. In fact, my belief is that we should only take drugs as a last resort, after all other possibilities are investigated. I totally agree with you. In fact, I rarely if ever, even take aspirin. I believe in preventive medicine. My gyno made me feel as if there was no way to stop the bone loss unless I took this drug, she said was completely safe, that actually petrifies your bones making them more susceptible to breaking…..doctors are brainwashed by big pharma and our healthcare system is dictated to by big pharma. I didn’t want to get too political in the article – but I agree, I am not a fan at all of big pharma. On a recent gynecologic visit with a new doctor, while discussing things in her office, she asked me twice, in different ways with an air of disbelief “You don’t have any prescriptions? Nothing from another doctor….somewhere…” Something like that. Um, no. I don’t. Is there a problem with that? lol Apparently the typical 47 year old woman has a list or something lol. Could definitely go off on a rant with big pharm (and a rant on veterinarians and drugs they dole out) but we can save it for another day 🙂 Glad your bones are ok. Thanks so much Leah. I know – I’m only on thyroid and it was the natural desiccated kind until the FDA pulled it off the marke! Wow, this is powerful! I’m so glad that you’re doing well now, and thank goodness you did listen to your intuition! I’m so glad I didn’t go on that pharmaceutical everyone tried to convince me was so safe! That small voice that is inside of everyone has the answer to a lot of questions that we expect professionals to answer. Unfortunately in our rushed society, we tend to give those who are trained the benefit of the doubt and blindly follow their advice. The pace of life has increased so much that the professionals do not have the time or the indulgence to seek the cause of the problem. They often treat the symptoms with a shotgun approach and hope that they hit the cause. Just take the time to develop a belief in your intuition and trust it like you would a Doctor. You will be amazed at it’s accuracy. Men also have intuition but they tend to drown it out with logic and shrug it off as a “woman’s thing”. Welcome to Powered by Intuition where I write almost exclusively about intuition. Thank you for the encouragement. I appreciate it. As a practicing psychic medium I have lots of friends who are men that are extremely intuitive. Do visit us here again. It’s been a pleasure having contribute to the conversation. Dear Angela, I did the same thing by not listening to a famous OBGYN for a procedure she wished to do and it turned out to be completely unnecessary. I listened to that voice which comes when we most need it and least expect it and I am happy you did too – by the way, I am slightly low on Vitamin D too – you are on a high dosage. I am taking about 4000 IUs per day plus some sun here and there……Thanks for sharing such a personal story! Glad you enjoyed this true story. I’m glad you listened to your intuition and didn’t have an unnecessary procedure either. I’m still taking 6000 IUs of Vitamin D a day. They say the optimal levels is around 50 and I’m at 42 now. Hope you have a magnificent weekend! Thanks Jennifer for mentioning Powered by Intuition in your weekly roundup!